In the wintertime, when snowstorms can wreak havoc on your home, it’s not surprising to see many house roofs “suddenly” fail under the heavy accumulation of snow and ice. If this is the case with your roof, you may want to replace it with new metal roofing. 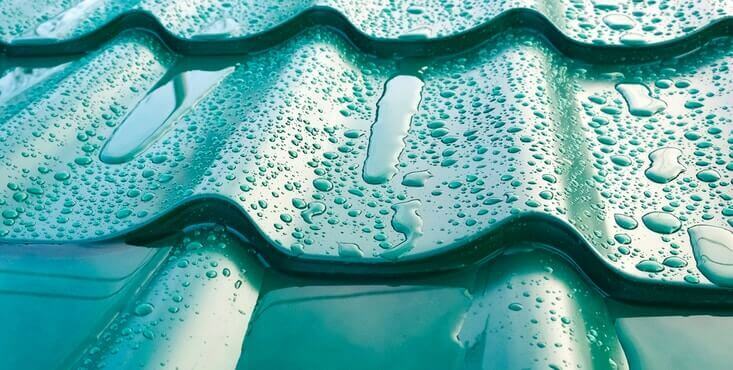 Even if you were not considering metal as a potential replacement for your ageing roof, you may want to learn more about it. It's a sturdy and energy-efficient roofing option. A properly installed metal roof could prevent the kind of damage that is typically associated with many other types of roofing - all while cutting your heating bills down. Our Renovation Advisors can help you decide whether this increasingly popular roofing material is right for you. So, what's the best choice for your home? That's where Reno-Assistance comes into the picture. Our Renovation Advisors will find you the right roofers & will go through all the pros and cons of metal roofing with you to set your roofing project on the right course. 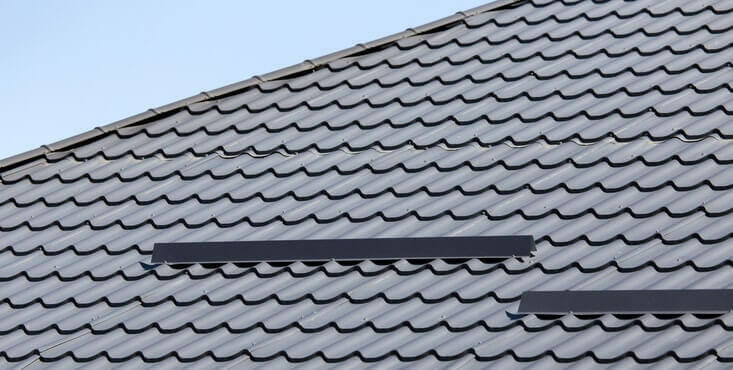 Installation - In some cases, a metal roof can be installed over your old shingles, eliminating the extra cost and hassle of tearing off an old roof (be sure to consult your roofing contractor about this possibility). Also, unlike many other roofing solutions, a metal roof can be installed during winter months. Colours - Metal roofs come in more than 100 standard, premium and customized colours, offering you more colour options than many other roofing choices. Styles - Metal roofs generally come in four different styles: vertical metal panels (with concealed fasteners), corrugated and ribbed metal panels (with exposed fasteners), interlocking metal shingles and stone-coated steel tiles. Plus, many metal shingles are made to look like natural slate, clay tiles, cedar shakes, and even asphalt shingles. Longevity - Premium metal roofs, such as metal shingles, metal tiles and standing seam, are "lifetime" roofing systems (if properly installed). So, essentially, you would not need to install another roof ever again. Metal roofs, such as aluminum or steel shingles, can last for more than 50 years. Copper and zinc roofs can last well over 100 years. In other words, metal roofs can last roughly two to three times longer than asphalt shingle roofs, which typically need to be replaced every 20-25 years. Lifecycle cost - Due to their outstanding longevity, metal roofs have a very low lifecycle cost. Warranties - Most metal roofing solutions come with a 30- to 50-year warranty (on a properly installed system) from the manufacturer (and that's on top of the installation warranty you would get from a qualified metal roofing contractor). 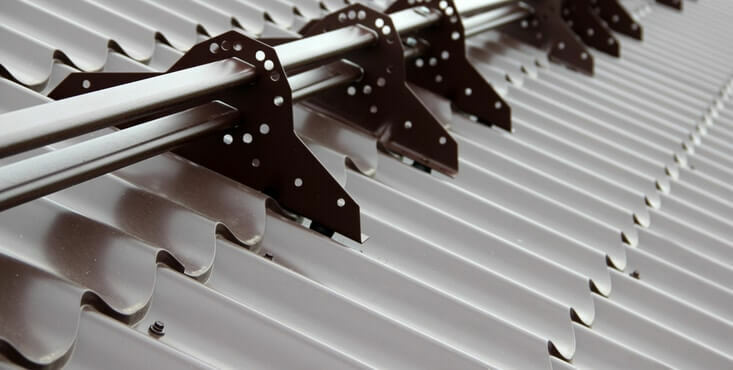 Weather protection - Metal roofing provides the best protection against snow and ice. They can prevent roof leaks due to a build-up of snow and ice. Given its durability, metal roofing is also ideal for areas prone to natural disasters, such as hurricanes, floods and earthquakes. Durability - Metal roofs do not rot, split, crack, chip or warp (unlike many other roofing solutions), are not susceptible to termite or rodent infestation and can withstand the impact of falling objects (such as hail and branches) without any damage. Maintenance - Generally, metal roofs require little or no maintenance and can be cleaned with water. Energy efficiency - A metal roof can help you cut your annual home energy bill by as much as 40% in home cooling costs and up to 15% in home heating costs. Eco-friendliness - Metal is the only truly green roofing solution. Metal roofs require the least amount of resources during manufacturing (and may contain anywhere from 30% to 60% of recycled metal content), contain no petroleum by-products and are 100% recyclable at the end of their service lives. Return on Investment - Metal roofing provides the highest return on your investment when it comes to home appreciation and recouped costs, compared to other roof materials. 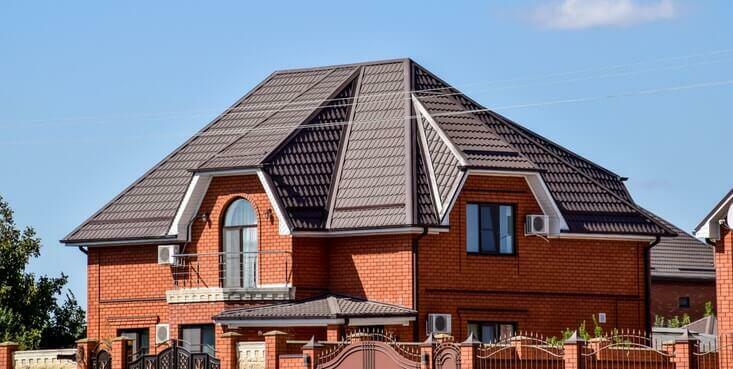 In terms of installation, metal roofing is more expensive than other roofing systems (since metal roof installation requires specialized training, knowledge, tools and equipment that general roofing contractors typically do not possess). Want to check out other roofing options? Metal roofs must be installed by professionals with metal roofing expertise. If installed incorrectly, your metal roof will likely leak, which will end up costing you thousands of dollars to repair or replace. That's where Reno-Assistance comes in. We already have tried-and-true roofing contractors in our network - with our 360° Verified Contractor seal of approval and a long, proven history of satisfied customers. One of our Renovation Advisors will take a look at your project to identify your needs. They'll send you up to three highly qualified metal roofing contractors to quote on your job. They will also review the quotes with you - providing you with the advice you need to choose a contractor. It will turn your project into a true success. Our service is 100% free — and you're in no way obligated to work with one of the contractors we refer you to. Talk to a renovation advisor now!